Jewish men and women pray at the Western Wall in Jerusalem, in their respective prayer areas. 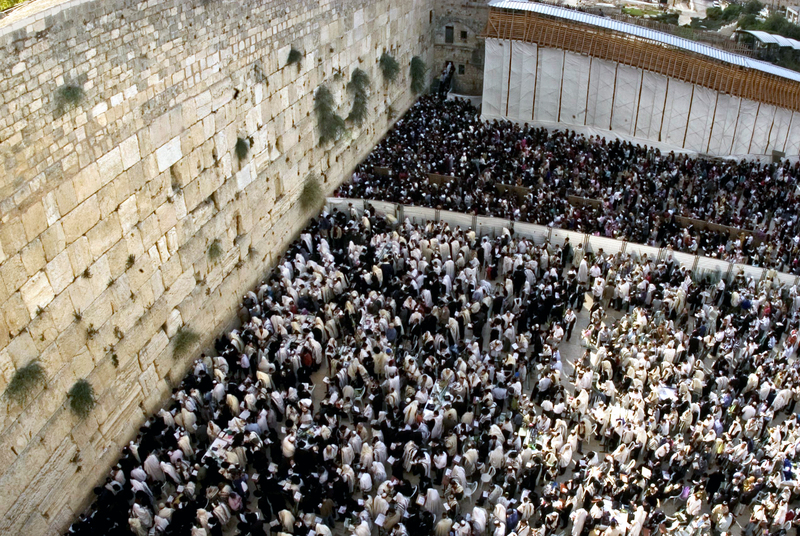 Traditionally, women have not been allowed to worship at the Western Wall in Jerusalem. They are not allowed to wear prayer shawls, pray or read the Torah out loud. Yet, there is a group of women who stand in protest to what they describe as sexist, outdated practices. Collectively, they are known as Women of the Wall. In April of 2013, Israeli police arrested five Jewish women who wore prayer shawls to morning services. The act was in open defiance to the Orthodox practice enforced at the site. These arrests came just two days shy of a court decision that could allow non-Orthodox services to be held in the area in a way equal to Orthodox tradition. The debate over whether women should be allowed to pray there has been going on for years. There is much discussion over how men seem to be more valued than women in Orthodox Judaism. If you look at the areas for worshiping at the wall, the area for men is far bigger. It’s almost an afterthought to have added a cramped area for women. This doesn’t seem fair to the Women of the Wall. Can a religious site actually belong to anyone? It seems rather strange to think that such a holy place could be controlled or owned by a man or woman. Shouldn’t it be open for anyone? In a country that has deep religious roots, only recently has the issue even been pressed. On December 1, 1988 a group of about 70 women “approached Jerusalem’s Kotel (Western Wall) with a Torah scroll to conduct a halakhic (according to Jewish law) women’s prayer service. As no provisions for Torah reading existed in the women’s section of the Kotel.” “[They] brought a sefer Torah (Torah scroll), stood together, and prayed out loud (a number of us wore prayer shawls). Instantly people started screaming, cursing and threatening the women. Nonetheless, they completed their reading of the Torah. Ever since that day, they have fought for freedom of religion equality for men and women.